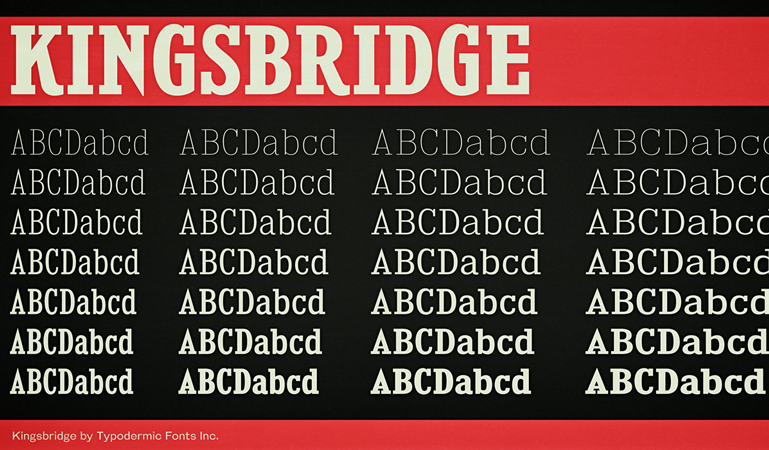 Kingsbridge is a slab-serif typeface family with sharp points on the A, M, N, V and W. Regular style only included. Designer Ray Larabie is a Canadian living in Japan who has been making fonts since 1996. His wife, Chikako, assists with font development and marketing. 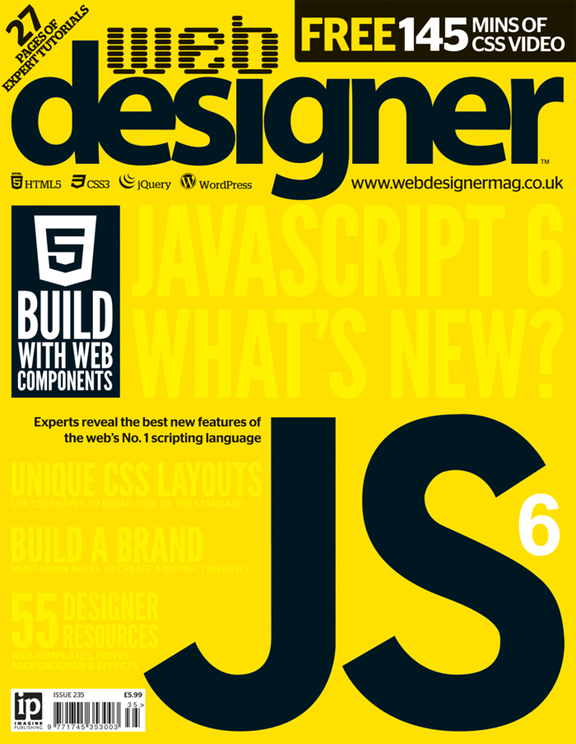 Once you have registered you can log-in and access all of the Web Designer content.